We found 1 result for nursing homes in Ketchikan, Alaska. 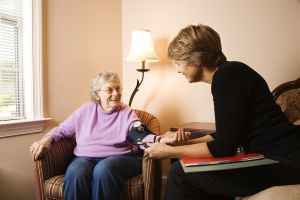 The median cost / day for nursing home care in Alaska is $650, with costs ranging between $515 and $670 daily. On a monthly basis, this equates to a median expense of $19,500, with costs ranging from around $15,450 up to $20,100. The median annual cost is $237,250, which is above the US average of $77,380. Located in Ketchikan Gateway Borough, Ketchikan is a small city in the State of Alaska. While the encompassing statistical area contains 553,665 people, there are 13,508 living in the city. The senior community makes up around 24% of the total population. Ketchikan has a below average SeniorScore™ of 54. The city has an average per capita income of $30,000. The mean household income is $57,000 versus an average of $48,000 for the entire state of Alaska. The current unemployment rate is roughly 7.59% and the mean housing price is $199,500, which is relatively lower than the Alaska average of $219,000. Ketchikan has harsh average temperatures, with cold winters and calm summers. The city gets very large levels of rainfall annually. In comparison to other cities, Ketchikan has a moderate crime rate. To see information on the SeniorScore™ for Ketchikan, AK, please visit senioradvice.com/seniorscore/senior-living-in-ketchikan-ak.